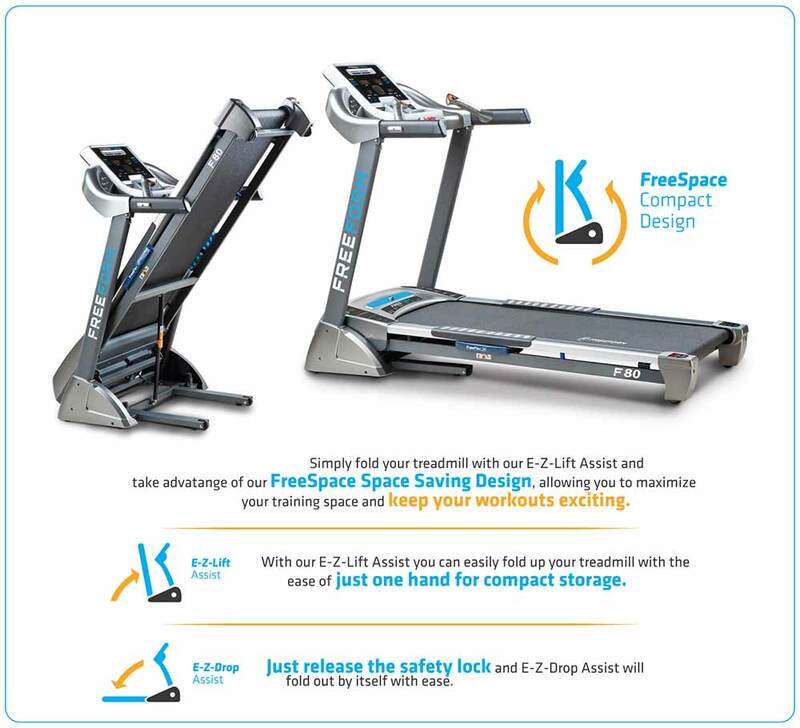 The FreeForm F80 Marathon Runner Treadmill w/ Polar Wireless Rec & Chest Belt will have you pushing your limits and breaking through the wall. 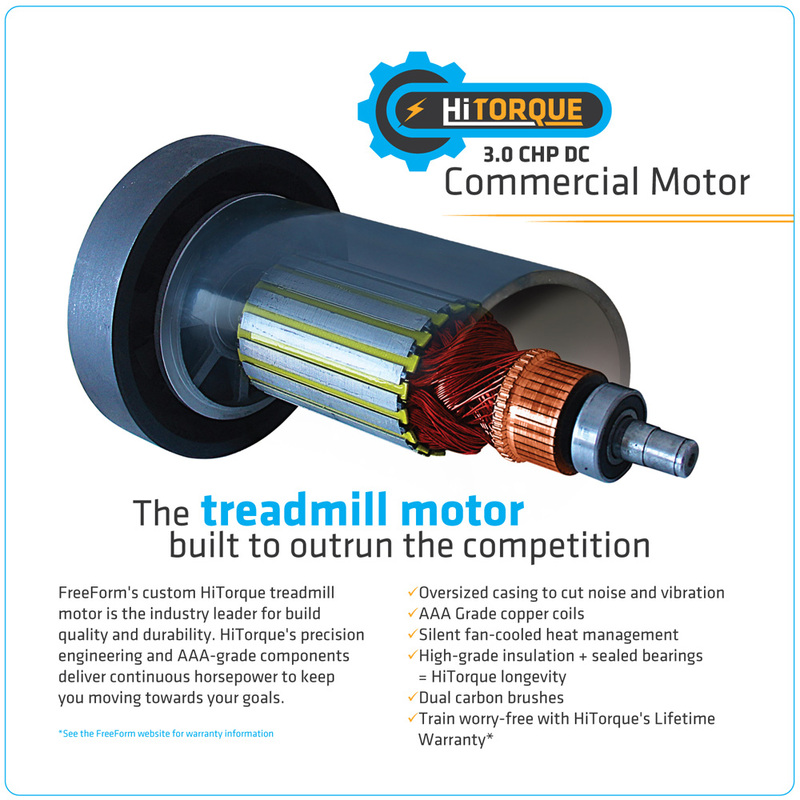 Quickly and easily select any speed from 1km/hr to a monstrous 20km/hr with a single button press on the OneTouch Quick Speed Controls powered by the HiTorque 3.0 Continuous Horse Power Commercial Motor. Built-in app interactivity and Preset Programs work like having your own Personal Trainer assisting you to achieve your running or sports training goals. 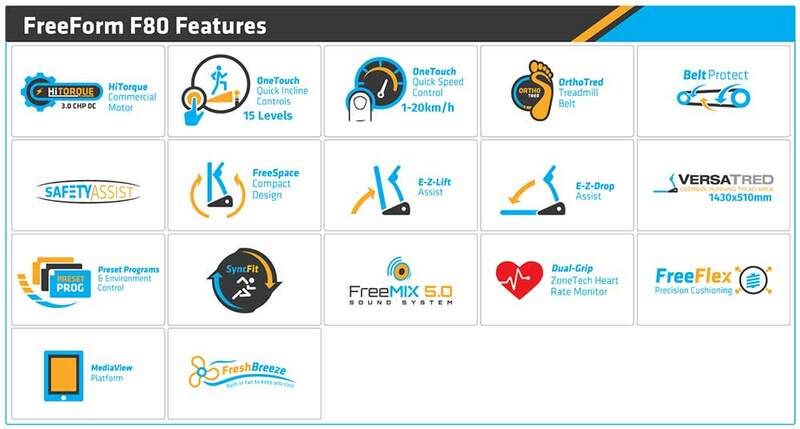 You will also be staying in the right workout zone with the included Polar Wireless Receiver and Chest Belt. I appreciate gym equipment innovators who consider the future users of the equipment. 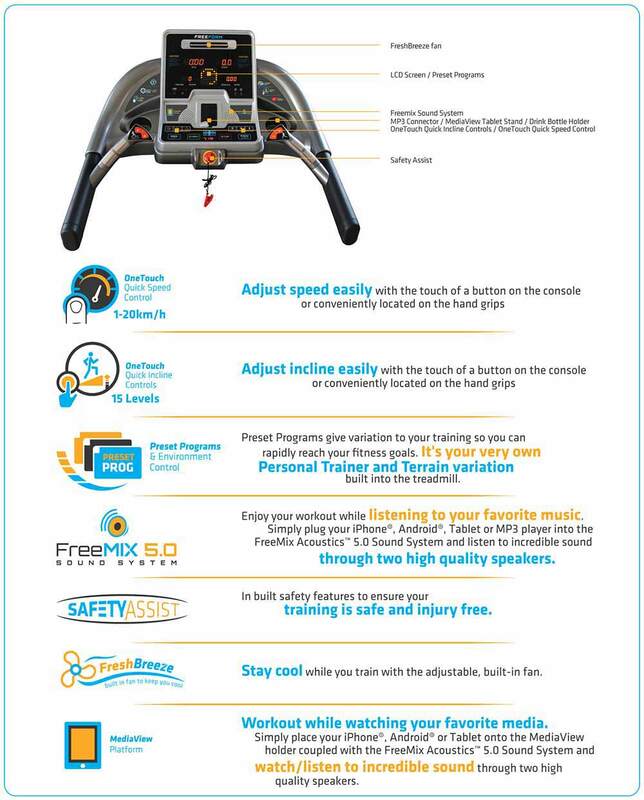 I love how the F80 Marathon Runner Treadmill is designed to be customized. Speed and incline are easily adjusted, while on-board programming allows me to listen to music or watch my favorite show while running on a wide tread area. I highly recommend this product to every runner out there. Running has never been this fun! 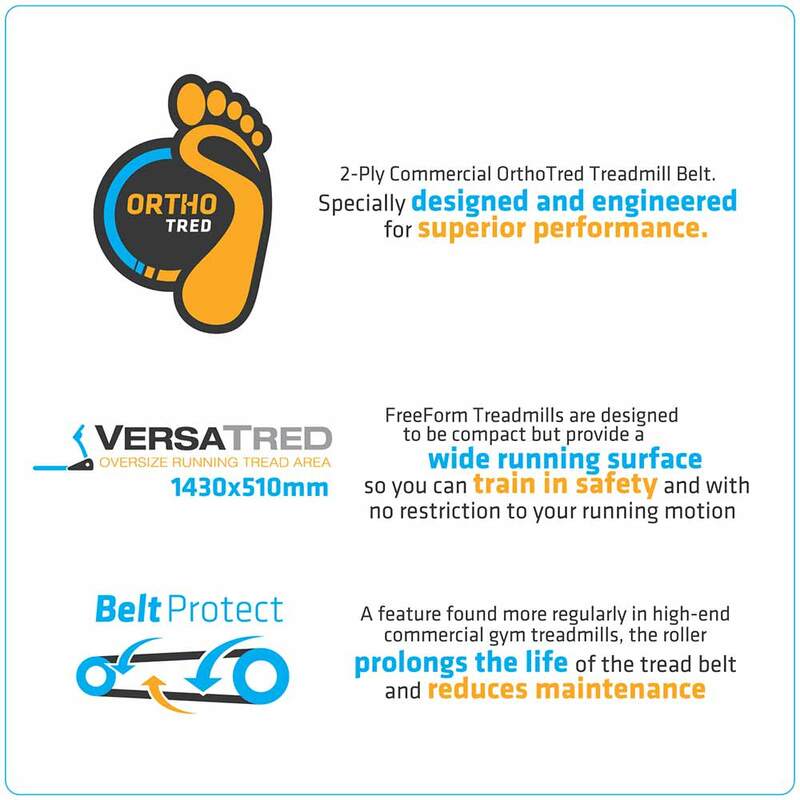 Running on any treadmill has never been this fun and enjoyable, maybe because I'm using a piece of equipment I can call my own, but maybe also because of the outstanding quality of FreeForm treadmills. I have been dreaming of getting one since the day I used one on the gym! 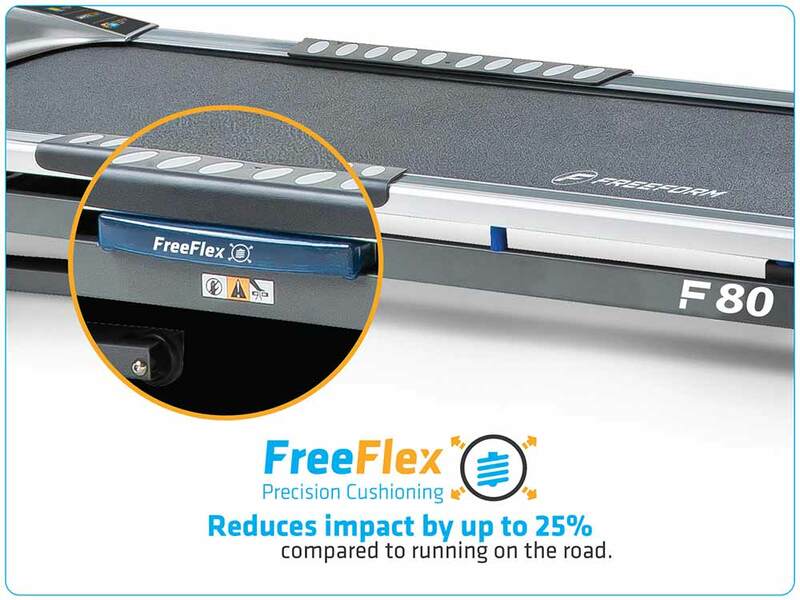 I'm always in the right workout zone with the freeform f80 marathon runner treadmill. Favorite functions are the built in fan, the media view platform and the free mix sound system. They keep me going and energize me as I run. Nice machine that deserves my five stars. 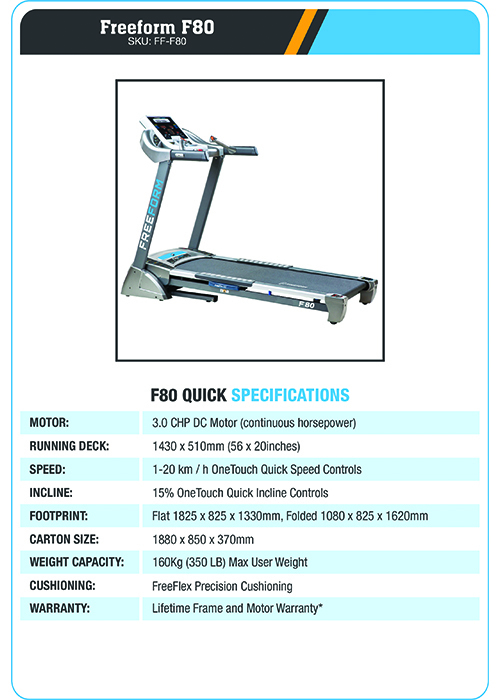 The F80 Marathon Runner Treadmill is my ultimate trainer before I join marathons, competitions, and even triathlons. I cannot see myself using any other brand or machine. The F80 is my first love and I'm sure it deserves to be loved by others, too. I highly recommend it!